One the second day of the 20th World Energy Cities Partnership (WECP) Annual General Meeting, the overall scenario of the Brazilian market from a variety of perspectives, along with the scenario of several other WECP member cities were the focus of the debate held in the GE Global Research Center, at UFRJ Technology Park, in Rio de Janeiro. 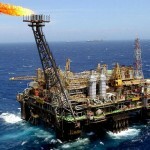 Representatives from Brazilian sector institutions, Jorge Camargo, president of the Brazilian Institute of Oil, and Paulo Martins, president of ABESPETRO, pointed out the volume of proven reserves and investments already being made as votes of confidence on the local industry. The view of the international companies gathered, in the second panel, André Araújo, president of Shell Brazil, Gilberto Peralta, president of GE Brazil, Stephane Vignet, president of Schlumberger Brazil and Pål Ertrheim, president of Statoil. The debate centered on reducing costs – through systems integration and standardization – and defending more investments in innovation. “There is a tendency to dumb down wells during times of crisis, but innovation lowers costs long term”, declared the president of Schlumberger Brazil. Collaboration and joint effort in the current global market scenario were the talking points of the final panel of the day, which had the participation of Christine Helgø, Mayor of Stavanger (Norway), George Adam, Lord Provost of Aberdeen (Scotland), Gillian McCormack, VP of Business and Trade Development for Calgary Economic Development (Canada), and Gareth Morgan, City Officer of Trade and Investments for Cape Town (South Africa). Closing the event, Maurício Guedes, director of the UFRJ Technology Park, made a presentation on the development of the innovation sector in Brazil. 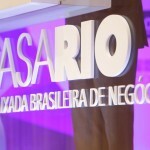 Tomorrow (27/10), the panels “Research and Development in the Oil and Gas Sector” and “Urban Transformation Projects” will take place at Riocentro, in an integration with OTC Brasil. WECP, which unites 23 energy hub cities from the 19 major oil-producing countries in the world, will hold the event in Rio de Janeiro for the first time with the presence of 15 delegations, 9 of them led by mayors. The WECP Annual General Meeting will take place between October 25 and 28, with events in GE Global Research Center, located at the UFRJ Technology Park, and Riocentro. For the complete updated schedule, visit our site.